2010 Tracker Pro Team 170 TX 2010 Tracker Pro Team 170 TX with 50 Mercury two stroke. 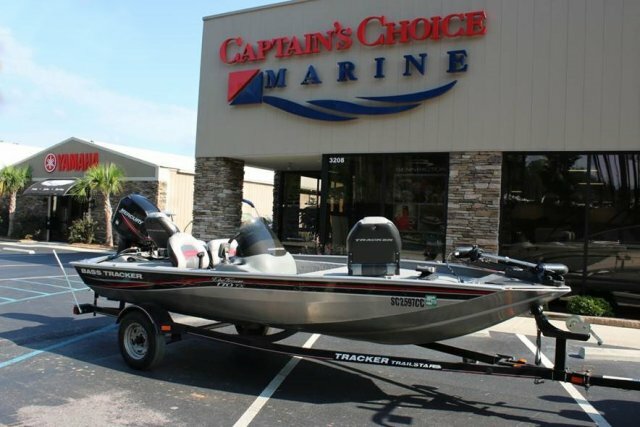 This 170 utilizes the Revolution Hull design found on the larger Tracker mod V's. Motor Guide 54# 12v trolling motor, Humminbird 788ci GPS, Humminbird 688ci HD GPS, console compass, and boat cover. 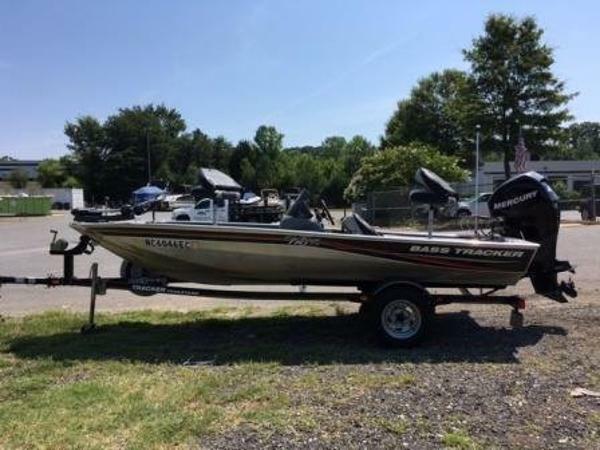 Original owner selling and boat came from the Coosa River area. On consignment for $9500, reasonable offers will be considered. 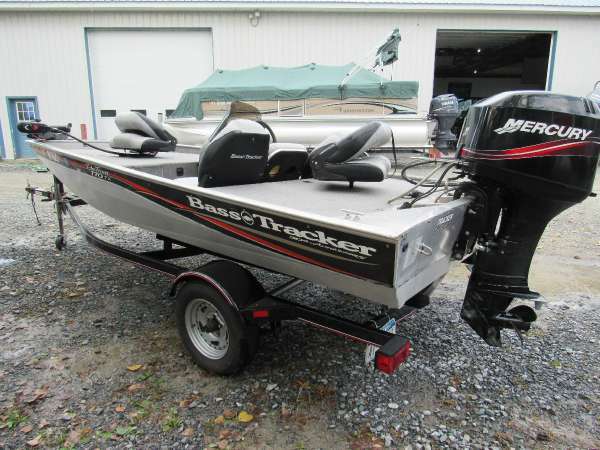 2008 Tracker Pro Team 170 TX 2008 BassTracker Pro Team 170 Mercury 50hp 2 stroke trailstar single axle trailer $5795 just serviced lower unit and change impeller new Lowrance fishfinder, trolling battery, and fire extinguisher comes with spare you see in picture Of all the Pro Team? models, the 30th Anniversary Edition Pro Team 170 TX is the most agile. 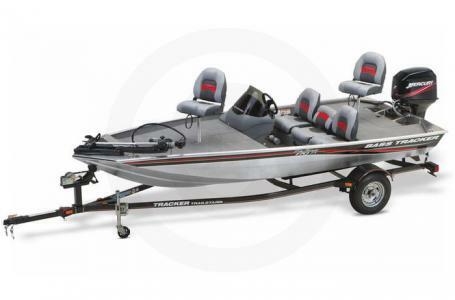 Measuring just 16' 4" in length, you'll find it as easy to fish and trailer as it is to launch and store. Its smooth, dry, great-handling ride is the product of an exclusive all-welded Revolution? Hull backed by our Smooth Ride Guarantee?. The new interior features helm and buddy seats and a fold-down center seat with drink holders. For maximum strength and rigidity, its full-length longitudinal stringer system includes box beam extrusions. A custom-matched trailer with GalvaShield corrosion protection rounds out this ready-to-fish package. 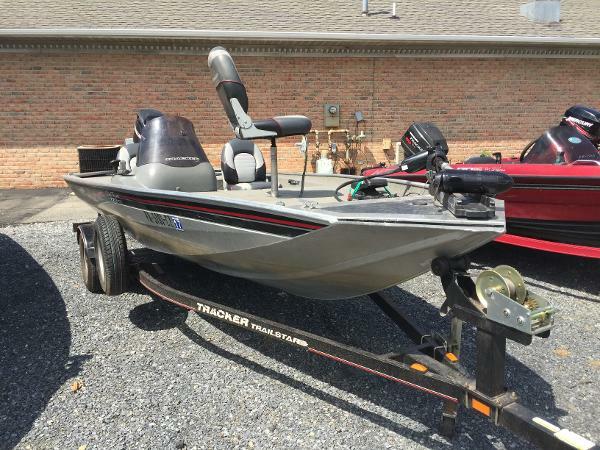 2008 Tracker Pro Team 170 TX Pro 170TX In Good Condition powered by Mercury 25EL Complete with Trailer, Trolling Motor, and Fish Finder Of all the Pro Team? models, the 30th Anniversary Edition Pro Team 170 TX is the most agile. 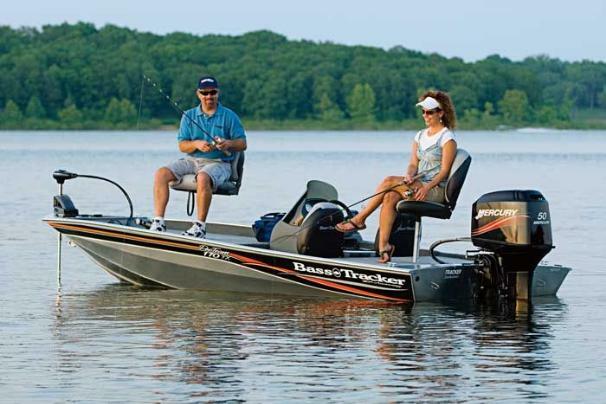 Measuring just 16' 4" in length, you'll find it as easy to fish and trailer as it is to launch and store. Its smooth, dry, great-handling ride is the product of an exclusive all-welded Revolution? Hull backed by our Smooth Ride Guarantee?. The new interior features helm and buddy seats and a fold-down center seat with drink holders. For maximum strength and rigidity, its full-length longitudinal stringer system includes box beam extrusions. 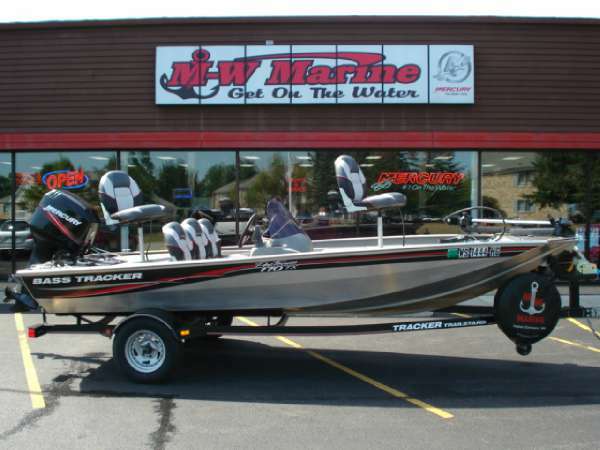 A custom-matched trailer with GalvaShield corrosion protection rounds out this ready-to-fish package. 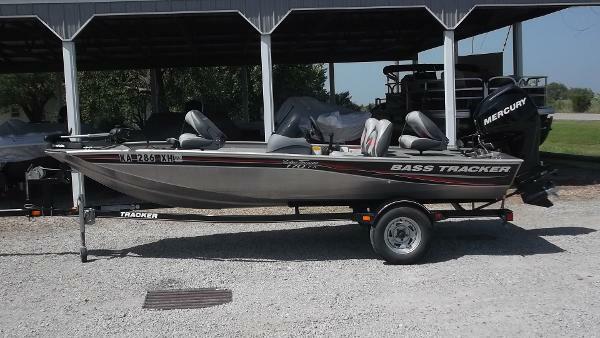 2010 Tracker Pro Team 170 TX Here is a Tracker boat ready to fish. Four Stroke 50HP that is very fuel efficient!! 2009 Tracker Bass Pro Team 170TX Pro Team 170TX Tracker powered by a 40 h.p. Mercury Four Stroke. Includes: 46 lb. Motorguide troll motor, power anchor, Lowrance LMS520 fish finder & more. 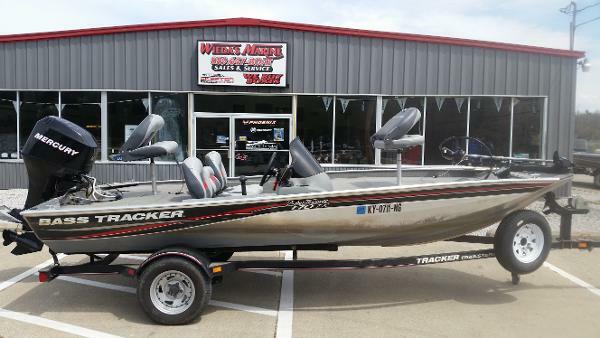 2010 Tracker Pro Team 170 TX 2010 Tracker Pro Team 170 TX w\Mercury F30 EFI, Battery Charger, Motorguide Pro 46 Trolling Motor, Lowrance X-50 DS Fish Finder, Trailer w\Side Guides and Swing Away Tongue, Clean. $9995.00. 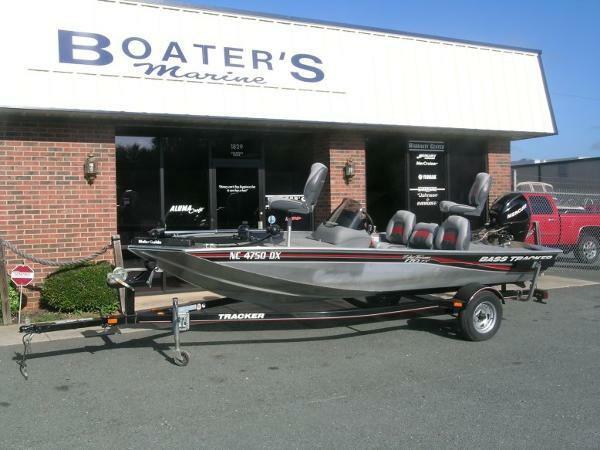 2010 BASS TRACKER/TRACKER MARINE Pro Team 170TX 2010 Bass Tracker/Tracker Marine Pro Team 170TX, 2010 TRACKER MARINE 170 TX PRO-TEAM BASS BOAT WITH A MERCURY 50 HP 4-STROKE MOTOR. 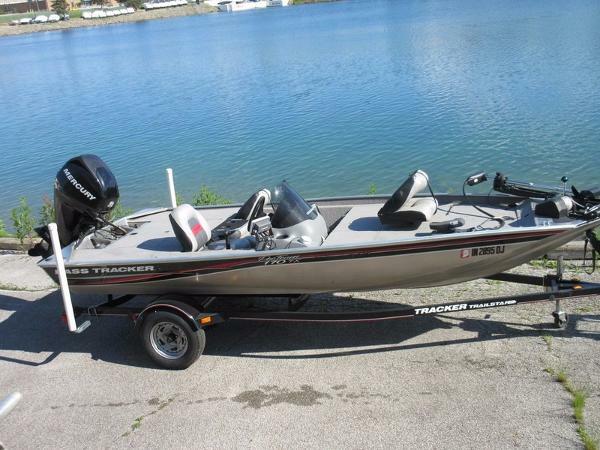 READY TO FISH THIS ONE COMES WITH A LOWRANCE X51 PRO, MINN KOTA 46 LB THRUST TROLLING MOTOR WITH AUTO PILOT, BOW AND REAR RAISED FISHING SEATS AND A HYDRO-STABILIZER. ONLY 258 HOURS AND IN VERY GOOD CONDITION, THIS ALL WELDED HULL IS DESIGNED TO OUT-RIDE AND OUT-LAST THE COMPETITION! SINGLE MATCHING TRAILSTAR TRAILER COMPLETES THIS PACKAGE FOR ONLY $8,990. CALL TODAY! 2007 Tracker Pro Team 170 TX The Pro Team 170 TX provides maximum maneuverability plus a ride that’s so outstanding it’s backed by our exclusive Smooth Ride Guarantee. 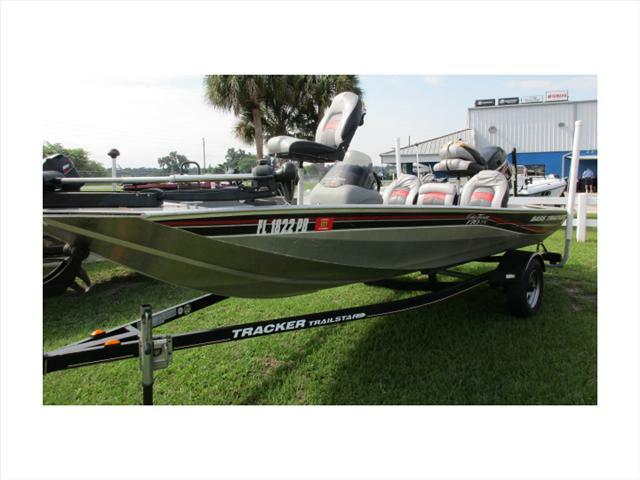 2009 Tracker Pro Team 170 TX This boat is ready for your family to enjoy! 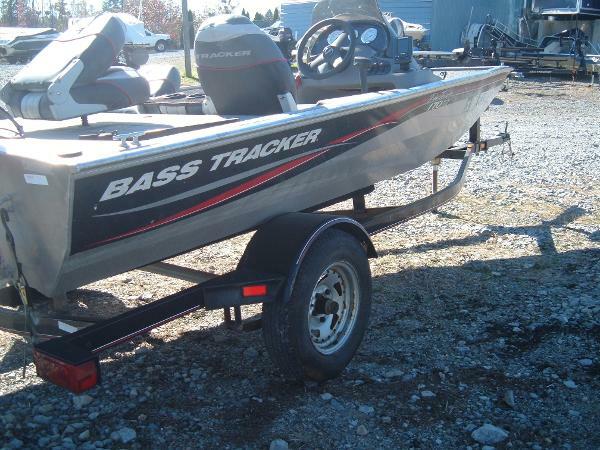 Well equipped with a trolling motor, fish finder, trailer and 40 HP Mercury 4-stoke engine. 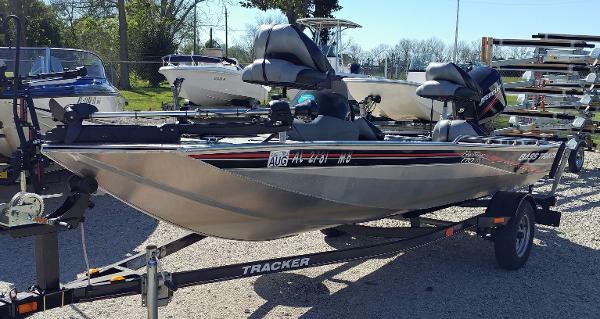 2009 Tracker Boats Pro Team 170 TX, Complete package includes boat, Mercury 50hp motor w/ aluminum prop, Motor Guide Pro 46 trolling motor & painted trailer. Also includes side console, carpet, livewell, pedestal seats, navigation lights, power trim.